Eric Haralson thought he'd have a quick meal alone. Instead, he made a stranger's day. If you're in need of something to be thankful for this Thanksgiving season, know that the spirit of people gathering together is alive and well. Meet Eric Haralson, a 28-year-old man from Indiana who recently made one elderly woman’s day. On Thursday morning, Haralson headed to his local McDonald’s to eat breakfast by himself. And a 70-year-old woman, who goes by the name Jan, had the same plan. When Jan saw Haralson sitting by himself, she asked if the pair could enjoy their breakfasts together. The pair sat together for 45 minutes, before Haralson walked Jan to her car and the duo exchanged numbers in the parking lot. Thanks to Amanda Craft, a teacher from Noblesville, Indiana, who witnessed the encounter, people on social media were able to catch a glimpse of the morning encounter. “This is how the world should be!” another person commented. But for Haralson, this weekday breakfast with Jan wasn’t any type of special favor. “She is a wonderful woman,” Haralson told TODAY Food of the lady he's met only once. The pair talked about how Jan goes to church every Sunday and how she used to be an artist. Haralson said that he told Jan about his girlfriend and young son. According to Haralson, Jan even shared some of her wisdom about life during their meal. 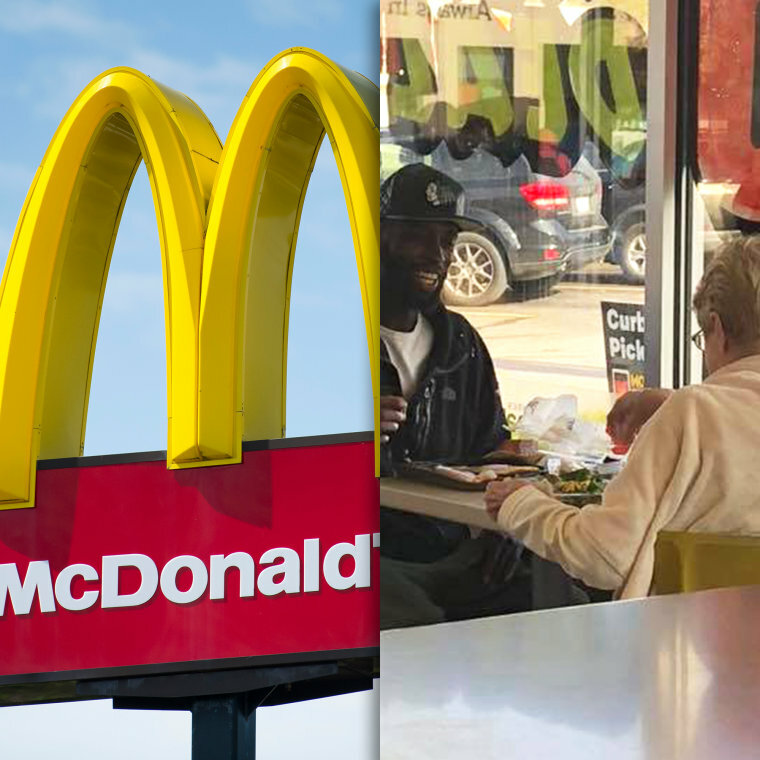 Jan “just wanted some conversation,” according to Haralson, but her polite request sparked a spirit of gratitude inside that particular McDonald’s and across the web as many people are now sharing their own stories of sitting with strangers or simply lending a helping hand. Since last Thursday’s breakfast, Haralson called Jan and left a voicemail to let her know that they’d gone viral but said he has yet to reconnect with her.